Sports Mole previews Sunday's Premier League clash between relegation-threatened Cardiff City and title-chasing Liverpool. Sports Mole selects its Premier League team of the week for gameweek 32, including Sergio Aguero, Andrew Robertson and Bernardo Silva. Sports Mole previews Sunday's Premier League clash between Cardiff City and Chelsea, including predictions, team news and head-to-head records. A report claims that Watford and Aston Villa are looking to sign Harry Arter, who has spent the first half of the season on loan at Cardiff City from Bournemouth. Sports Mole provides predicted lineups, team news and a full match preview of the Premier League meeting between Cardiff City and Tottenham Hotspur. The Republic of Ireland midfielder joined the Bluebirds in August. Cardiff City move up to 17th place in the Premier League table with a 4-2 win over Fulham in South Wales. Ireland have lost their last two competitive games heavily. An early goal from Eric Dier earns Tottenham Hotspur a 1-0 victory over Cardiff in Saturday's Premier League fixture at Wembley Stadium. Cardiff City boss Neil Warnock believes that new signings are needed in the January transfer window to fulfil his squad's potential. Relive Sports Mole's live coverage as Tottenham Hotspur register a 1-0 win over Cardiff City in Saturday's Premier League clash at Wembley Stadium. Sports Mole predicts how Cardiff City will line up for Saturday's home league match against champions Manchester City. Sports Mole provides predicted lineups, team news and a full match preview of champions Manchester City's Premier League trip to winless Cardiff City. Eden Hazard scores his second hat-trick for Chelsea as the Blues maintain their perfect Premier League start with a 4-1 home win over Cardiff City. Harry Arter withdraws from the Republic of Ireland squad following an alleged dispute with assistant manager Roy Keane. Alexandre Lacazette scores the winner as Arsenal make it back-to-back Premier League victories with a 3-2 success away to Cardiff City. Huddersfield Town manager David Wagner claims that Jonathan Hogg's sending-off during the goalless draw with Cardiff City was a "game-changer". Huddersfield Town and Cardiff City both remain winless in this year's Premier League after a goalless draw is played out at the John Smith's Stadium. Neil Warnock: Newcastle United penalty miss "was poetic justice"
Neil Warnock was glad to see Kenedy miss a penalty as he does not believe that the winger should have been on the field, while also questioning why the pen was awarded. Newcastle United boss Rafael Benitez: "Too many things went against us"
Newcastle United boss Rafael Benitez says that he has no complaints about the workrate of his players, having held Cardiff City to a 0-0 draw despite a man disadvantage. Ten-man Newcastle United miss a 96th-minute penalty as Cardiff City hold on for a goalless draw to get off the mark for the 2018-19 Premier League season. Newcastle United boss Rafael Benitez decides to keep the majority of his summer signings on the bench for the Premier League fixture at Cardiff City. Bournemouth boss Eddie Howe says that it was "difficult" to allow Harry Arter to leave the Cherries in order for the midfielder to pen a loan deal with Cardiff City. Bournemouth midfielder Harry Arter joins newly-promoted Cardiff City on a season-long loan. Harry Arter reportedly travels to Wales as the Bournemouth midfielder prepares to join Cardiff City on loan. Cardiff City reportedly enter the race to sign Bournemouth midfielder Harry Arter on loan. 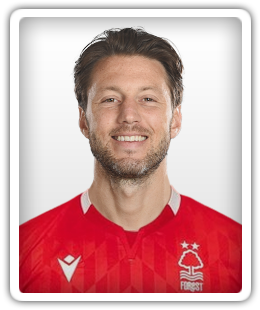 Newcastle United, Middlesbrough want Harry Arter? Newcastle United and Middlesbrough are reportedly interested in signing Bournemouth midfielder Harry Arter. Nottingham Forest clinch an impressive 2-0 win over Premier League side Bournemouth in Saturday's pre-season friendly at the City Ground. Bournemouth midfielder Harry Arter hints that he may have to leave the Vitality Stadium this summer if he wants to play regular football. Keep track of all of the confirmed transfers in the Premier League this summer with Sports Mole's comprehensive guide. Celtic and Scotland midfielder Callum McGregor is believed to be a summer transfer target for Premier League sides Bournemouth and Watford. West Ham United plotting fresh bid for Bournemouth's Harry Arter? West Ham United boss David Moyes is reportedly prepared to up his offer for Bournemouth's Harry Arter to £10m. Alexis Sanchez is not included in Arsenal's squad for this afternoon's meeting with Bournemouth, amid ongoing links with a move away from the club. West Ham United reportedly learn that it will take £15m to sign Bournemouth midfielder Harry Arter during the January transfer window. West Ham United consider move for Newcastle United midfielder Jonjo Shelvey? West Ham United are reportedly interested in signing Newcastle United midfielder Jonjo Shelvey during the January transfer window. West Ham United keen to sign Stoke City midfielder Joe Allen? West Ham United manager David Moyes reportedly shows an interest in signing Stoke City midfielder Joe Allen during the January transfer window. Former West Ham United boss Slaven Bilic says that he wished he had signed a defensive midfielder during the summer transfer window.